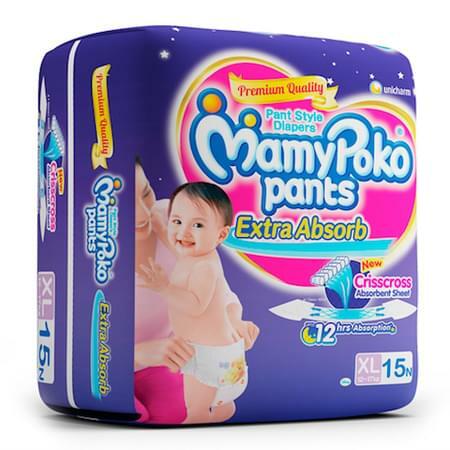 New MamyPoko Pants Extra Absorb with “Crisscross Absorbent Sheet” that spreads 7 glasses of urine equally, does not look heavy. So it prevents leakage whole night till morning. Therefore, diaper lasts up to 12 hours and keeps baby's bottom dry so that baby enjoys peaceful sleep till morning.